A collection with unmistakable hardware character. e.s. prestige* with features of the highest technical level. Robust and tough canvas for the mission on the edge. 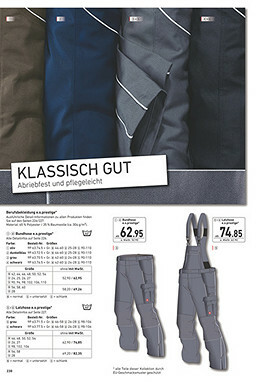 Indestructable work trousers made of strong canvas fabric. A very stable Schoeller-dynatec® was used to protect body parts that are subject to a lot of wear. Schoellerdynatec® is commonly found in the motorcycle area as reflected in the sturdiness and protective function of this material.